Clogged gutters can be a serious problem. They can cause soil erosion around your home, water damage to your foundation, basement leaks, and mosquito infestation. BEE now offers a low maintenance gutter protection product that can help you to maintain water flow and drainage in your gutters and down spouts. 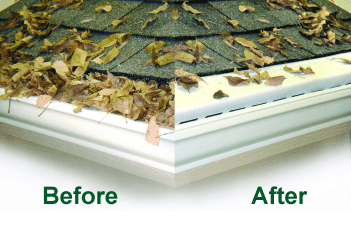 BEE is proud to introduce Leafree™ gutter protection by BEE, including delivery and installation by our professional gutter protection installers. Bee Window proudly serves satisfied gutter installation and repair customers across all of Indiana, including Fort Wayne, South Bend and Lafayette.